Nearly a decade has passed since I first began The Watcher. On the clear spring day I sat on our back porch, I had no idea what form or direction the day’s writing would take. I usually sit at the computer to write, but this day, I lounged in a beach chair with the sun shining on my legs and a notepad and pencil in hand. Only a few minutes had passed before I knew that this work would be different from anything else I had ever written. Not only was the writing prose poetry, but the idea of a Watcher had never consciously entered my mind. The Watcher was edited and changed again and again. Each time I sat with this manuscript something new emerged. Never has a work been such a dynamic thing for me. Having read The Watcher many times, I am convinced it is not a book for everyone. Nor is it a book to be quickly read. A portion of one chapter would be sufficient for an evening’s meditation. 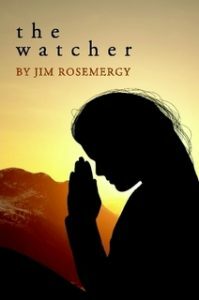 Essentially, I believe The Watcher is a meditation book. It is not about meditation, but its meaning is revealed in moments of quiet reflection and openness to Spirit. As it is with all things associated with Inner Journey, The Watcher‘s purpose is to quicken and foster humankind’s natural inclination to discover the truth of being. Spiritual awakening is our quest, and The Watcher can lead you to a new insight into the Second Coming. Read this work slowly and ponder often and long the journeys of the Watcher, for just as she discovers the mystery of the Second Coming, so shall you! With aloneness as her companion and silence as her teacher, the Watcher had waited. For twelve thousand years, a blind sister had stretched her soul to sense the light. Now, for the appointed twelve days, light streaked across her mind, etching the long awaited message. In an ancient time, before remembering, the first Watcher waited. As death extended new life to her, she put aside quietude and spoke of His coming to a sister made blind so she might see. In this way, the promise of a new world passed from sister to sister, each a symbol of the deepest yearning in us. Now the joy anticipated by each Watcher filled the soul of this blind sister. With her being suspended in timelessness and her mind restingas a still pool awaiting the wind, she sensed His coming. She knew of waiting, but now the lightproclaimed His coming. What was she to do? The dying sister who spoke to her spoke not of doing. The instruction was to weave her mind into the fabric of the universe and to wrap herself in a cocoon of Silence. She closed her sightless eyes and heard the voice that rushed upon her like a storm twelve days ago. In the way made known to Watchers, her body became a radiant light encircling the earth. Then all the points of light converged on Jerusalem. He was standing before her, a breathless being filled with the breath of God. Barely a man and yet the essence of all men. Now the first query of a blind sister trembled at the gateway of her soul as a bird about to soar from its nest. Although eager to encircle the earth and wander upon the wind, the Watcher hid not her deepest desire. The Watcher breathed deeply and felt herself lifted by the wind of wisdom. When the wind of wisdom became like the evening air, the Watcher stood in the great hall where nations gather. She opened her mouth and listened to the message streaming forth from the One. The streams, rivers, and oceans of the earth make islands of the land, but waters do not separate you. Because you must reach beyond yourselves to touch one another, do not be deceived. The hand you reach for is your own. The hand that reaches is his. There are no foreign lands just as there are no strange creeds. Alien creeds roam your mind in lands you have not pioneered. When the streams cease to flow and the seas have risen into the air, will you still insist upon your boundaries? Are not your many tongues barrier enough? Know this, people of the earth; when you have learned the language of the heart, you shall utter no unknown sounds. And how shall you fathom this language? When another cries, can you not feel the tears on your cheek? As another stretches his arms to embrace you, do yours arms not respond in like fashion? In truth, bodies do not reach for one another. It is hearts that reach or is it one heart? The one heart throbbing in the breast of man. It gives us life and cries out when we take life from ourselves by trying to withhold life from another. In this great hall and in the dwelling places of men, this heartbeat is drowned by angry voices and cries of me and mine. You have listened to words long enough. When one of you speaks, hear not his words. It is not his words he wants you to hear. Feel it beating in your breast, and when you speak together there will be no foreign tongues. Who can separate the colors of a rainbow or the wave from the ocean? Though you turn your backs upon one another and walk in opposite directions, you shall meet again. If there is pain in your soul, you shall see it in him, and he shall see it in you. Have compassion upon one another. Know there is nothing you can possess that is not a part of him. On that day you can turn your backs to one another and march to another greeting, or you can learn the language of the heart. People of the earth, what can you call your own? Not even you attempt to possess the air. Are not all things like this? We hold them for a time, release them to the earth, thus offering them to others. What have others offered to you? Is it just the air we breathe or are there other things which eyes cannot see, but hearts can feel? Which is the greater gift? Bars of gold or a heart which bars no man entrance? Who is the mighty one? The man who forces another to his knees and breaks his will, or the one whose outstretched hand summons a smile to the face of the one once broken? These questions beg no reply. Queries such as these require wordless answers. Remember, people of the Earth, the oceans which make islands of continents gently caress their shores. Surely when you are quiet and listen to the sounds of the streams and the rush of the rivers which mark the boundaries of your lands, you hear the language of the heart. Then, although the sounds escaping from your lips may vary, the earth shall have but one tongue.